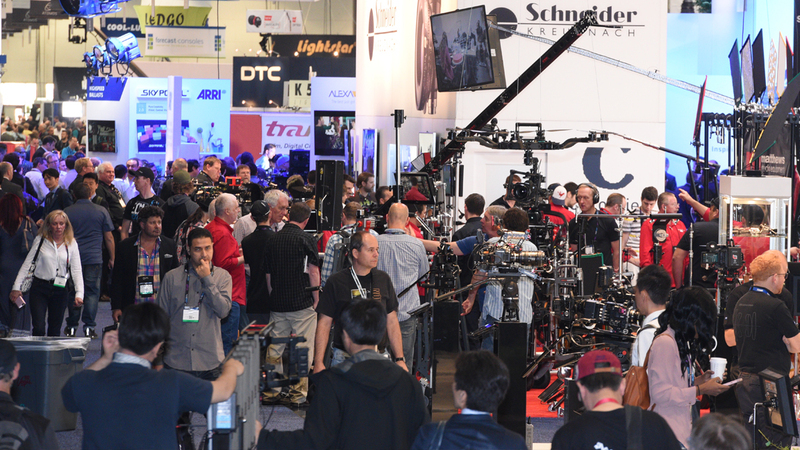 Every year the National Association of Broadcast (NAB) holds their conference in Las Vegas, netting over one hundred thousand attendees, and those lucky enough to attend, get an exclusive look into the upcoming gear and tech within the video market for the next year and beyond. In layman’s terms, this is where the newest gear from many of the manufacturers are released and highlighting, meaning it’s the ‘Must Go’ conference and trade show of the year for the gear-centric videographers. 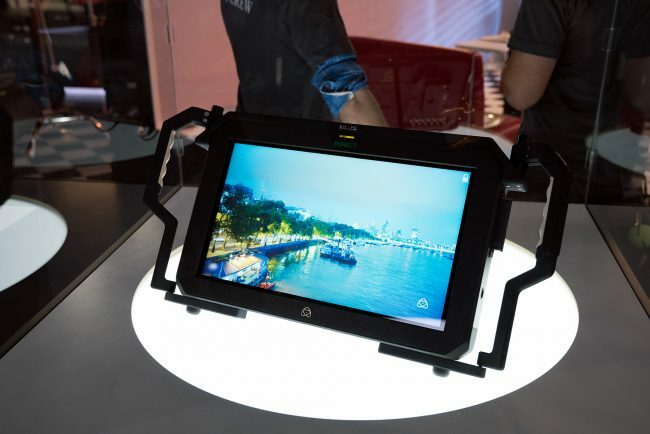 As one of the sponsors of NAB, providing much of the gear for the educational portion of NAB, we’re able to have employees on the ground, and getting their hands on the new products released now and in the coming months. But not all people can attend NAB each year in Las Vegas, so we also use the event as an opportunity to give our readers feedback, on what products we’re most excited for that were announced at NAB. This year, we had our resident video tech Ryan Hill on the scene, and getting a look at some of the newest pieces of the gear shown off at NAB. And while we can’t promise we’ll carry all of these items for rentals, these are the ones we’re most excited about and will hopefully carry. So without further ado, here are our favorite gear announcements that happen at (and around) NAB. Zeiss’ CP.2s have been our most popular cinema lenses for quite a while now, and not just with customers. Our employees love them, too, for their world-class picture quality, solid build, and interchangeable mounts. It’s exciting, then, to see that their CP.3s could be carrying that torch in the future. They’re smaller and lighter, for one, and they also feature some pretty exciting technology that Zeiss is referring to as “eXtended Data.” Using either contacts on the camera mount or a lemo connection to an external device, the lens transmits zoom, focus, distortion, and shading information in real time to be stored as metadata along with the recorded movie files. Some newer Cooke lenses have similar technology, but only if the camera supports it. It’ll be interesting to see the price difference between the XD and non-XD versions. Announced at NAB comes a compact design from Canon, with the CN-E 70-200mm T4.4. At just 2.65lbs, the CN-E 70-200mm looks to compliment the Canon CN-E 18-80mm T4.4 with a larger focal range in a small package. While many videographers would want a faster T3.1, the Canon CN-E 70-200mm chooses a smaller form-factor and weight and works as an excellent compliment between the EF lenses designed for DSLRs, and the uber expensive high-end CN-E lenses that Canon currently offers. Equipped with this lens, is a Servo Drive Focus unit, allowing for nice and quiet autofocus and zooming capabilities while shooting professional quality video. Sigma reminded us again this year at NAB, that they’re looking to be competitors in the professional video world as well, and released two new lenses to their Cine Lens lineup – the 14mm T2 and the 135mm T2 – for PL, EF and Sony E-Mount. Promising incredible speed and sharpness, the 14mm T2 and 135mm T2 join the other lenses that Sigma is quick to release to build out their Cine lenses lineup. Additionally, Sigma also announced the prices of their previously announced (but unreleased) cine prime lenses, rounding out their available Cine prime lenses to Sigma Cine 14mm T2 FF, Sigma Cine 20mm T1.5 FF, Sigma Cine 24mm T1.5 FF, Sigma Cine 50mm T1.5 FF, Sigma Cine 85mm T1.5 FF, and Sigma Cine 135mm T2 FF – making for nice complimentary lenses to their currently released Cine Zoom Lenses. 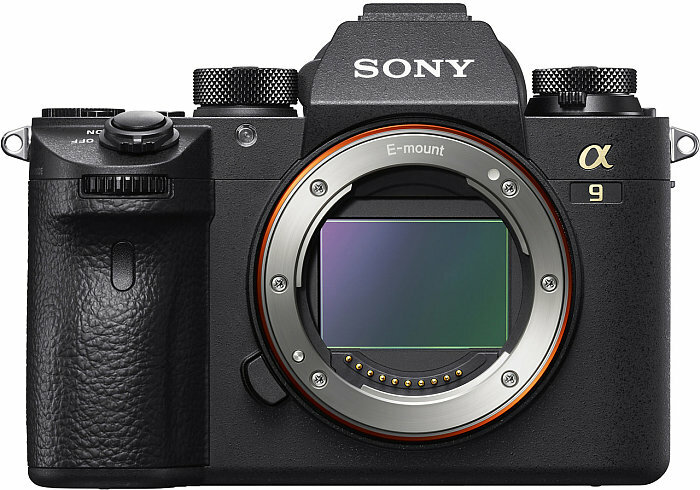 Among the biggest announcements this week came from Sony, with their newest flagship with incredible speed – the Sony a9. Working as a strong competitor to the Nikon D5 and the Canon 1DX Mark II, the Sony a9 brings a full frame 24.2-megapixel sensor to the table, shooting at an unbelievable 20 fps. Additionally, the system has their 5-axis image stabilization built into the body along with an unheard of 693 focus point AF system. To round out the camera, the Sony a9 also features an incredible shutter speed up to 1/32,000 of a second, and 4K video functionality up to 30fps. While people may doubt Sony’s telephoto lens lineup, there is no doubt that their latest camera with the Sony a9 is fascinating, to say the least. The current version of the Litepanels Astra is our most popular continuous light by a pretty wide margin, and it’s not difficult to see why. 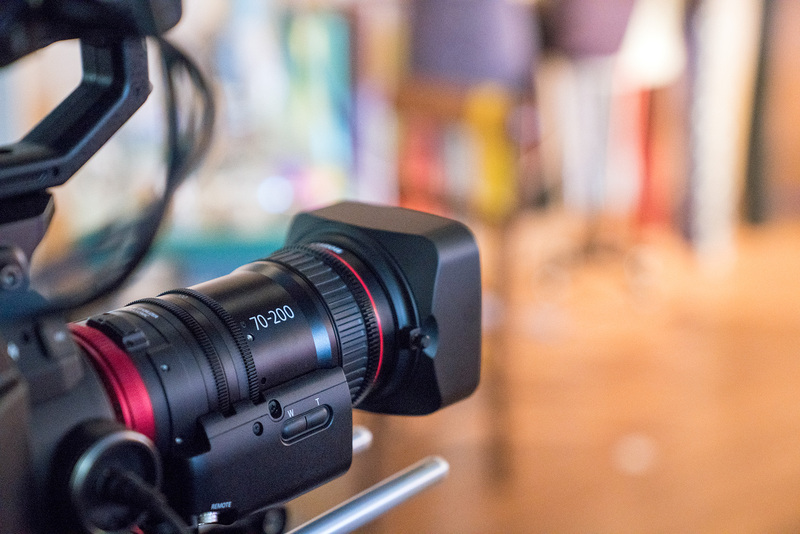 Battery power, dimming, and tunable color temperature make them extremely versatile, and the price point brings them into the reach of budget-conscious filmmakers. Sure, the CRI isn’t as high as it is on, say the Arri SkyPanel, but it’s good enough for most applications. With the new generation Astra, Litepanels was smart to leave well enough alone and stick to incremental improvements. The Astra 6X is 50% brighter than its predecessor while keeping the same size and power draw. Another nice touch is that the color temperature adjustment knob (finally) has written temperature indicators, making it easier to match sources quickly in the field. Litepanels also released a 3X, which has all the same features as the 6X but is a little less powerful. We’ll likely only carry the 6X since they’re dimmable and the cost difference wouldn’t have much of an effect on rental price. Kino Flo has always been known as the go-to manufacturer for fluorescent lighting fixtures. Though with the Kino Flo Freestyle, Kino makes another leap into the LED panels market, offering a versatile lighting system that is rich in features. The Kino Flo Freestyle offers full power and color temperature control from 0% to 100% and 2,500K – 9,900K respectively, and uses an innovative mounting system that allows you to cut the size of the iconic barn door style of traditional kinos, when in tight quarters. Fiilex has been in the industry for a few years now, and have been making impressive LED lighting systems for video work. However, where they differ from many of the competitors, is they offer large, single LED solutions, to avoid the fractal shadows you sometimes get with LED panels. With the Fiilex P360 Pro Plus, you get an incredibly powerful single LED ‘spotlight’ solution that is 400Ws equivalent, without the heat issue you run into with Tungsten and other hot lights. Alongside power, you also have full control, with a full power range to select from color temp controls from 2800K – 6500K, and all in a small, water resistant package. 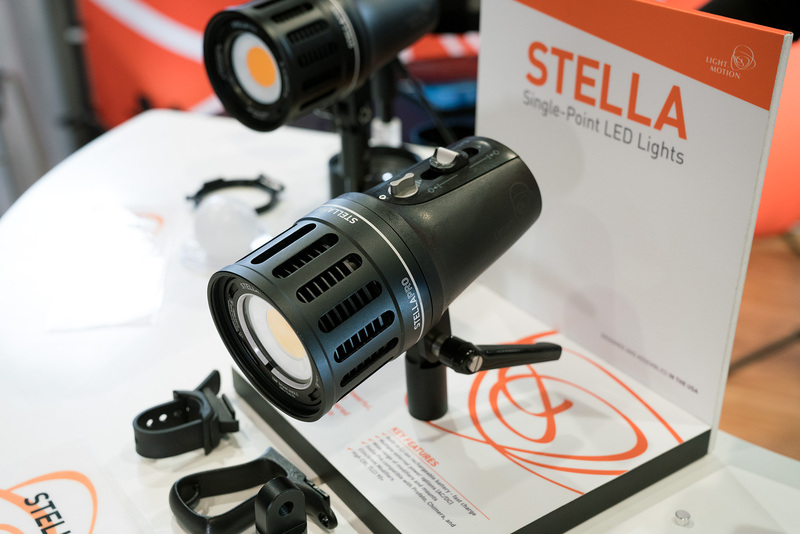 Based on what I saw in their booth, the Stella Pro system from Light and Motion could be the ideal lighting solution for a very specific type of customer. 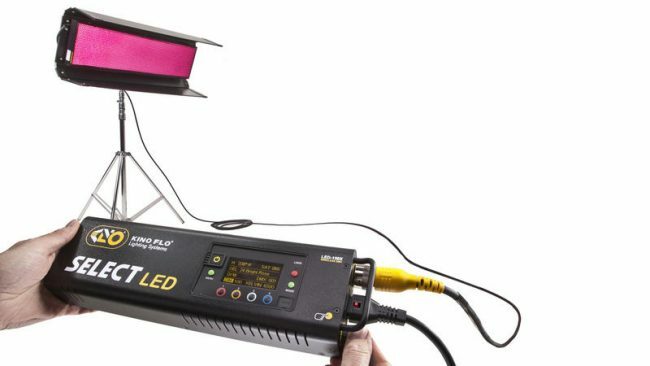 It’s not for everyone – there are far better solutions for studio work, for instance – but if you’re a one-man documentary or news videographer frequently hauling your own equipment into the field, then this light is designed just for you. Models vary, but the largest one is only 2.5lbs and small enough that it should fit comfortably in a backpack. They’ll all run off of wall power or d-tap, but they also feature high-capacity internal batteries that will power the lights for around an hour at full power and up to four hours at lower levels. They’re also very bright for their size, with the brightest battery-powered version putting out 8000 lumens at full power. Most impressively, though, they’re waterproof up to a depth of 100 meters. Long story short, they’re just about perfect for adventure videographers that need a light they can carry around and beat up without fear of it dying in the field. The only negative I can see right now is that they only come daylight balanced, but I can understand why they made that decision based on the target audience for the product. The first thing I asked the DJI rep when I saw the Ronin 2 in their booth was how much it would cost. He said they didn’t know but that it would be “Less than the Freefly Movi Pro.” This is revealing because it’s becoming increasingly clear that DJI’s strategy in its brushless gimbal division is to wait until Freefly releases a product, make minor improvements to that product, and then, with all the money they saved by manufacturing in China and not doing any R&D, release it at a cheaper price point. 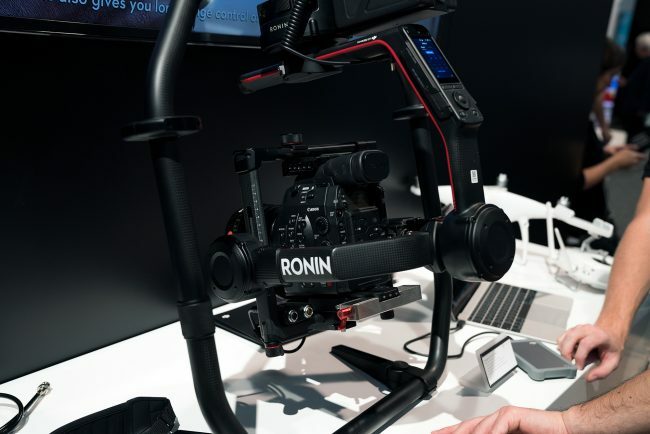 The rear control screen, ringed handle with attached kickstand, and swappable batteries combine to make the Ronin 2 look exactly like a Movi Pro. It feels like cheating, but this is capitalism, not a science fair, and there are some genuine differences between the two products. The Ronin 2 has an SDI pass-through built-in to the camera cage, for instance. It also features extendable arms, more power options, and a higher weight capacity than the Movi Pro. The operator in the DJI booth also showed me a remote that he said would be included for free with the gimbal, but their website doesn’t mention it yet, so I wouldn’t be surprised if either the price or the form factor change. 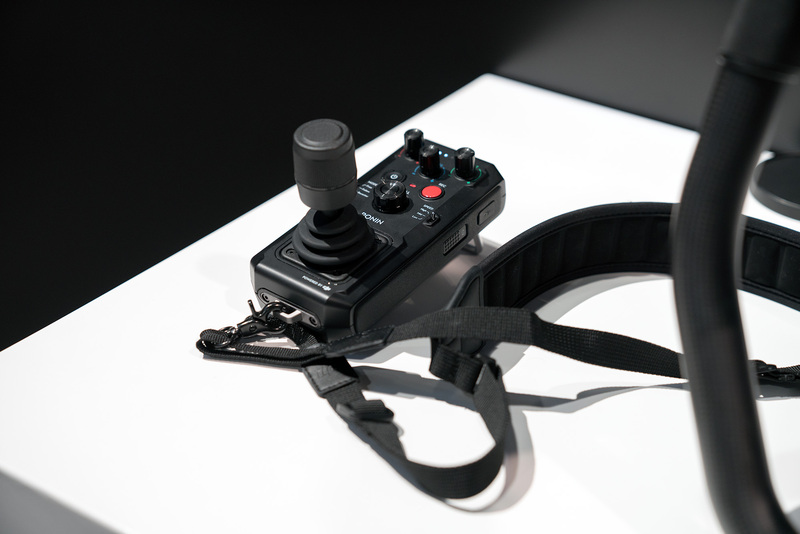 A simpler controller for the Movi has been a long time coming, and we hope this is it. The Pilot looks to offer FIZ, record start/stop, and joystick control in one compact and self-contained package. It also includes RED RCP support for control over any RED camera functions. Price will be a critical factor here, so we’ll be tracking that closely. Hopefully, they can release it for less than the Movi Controller, at least. 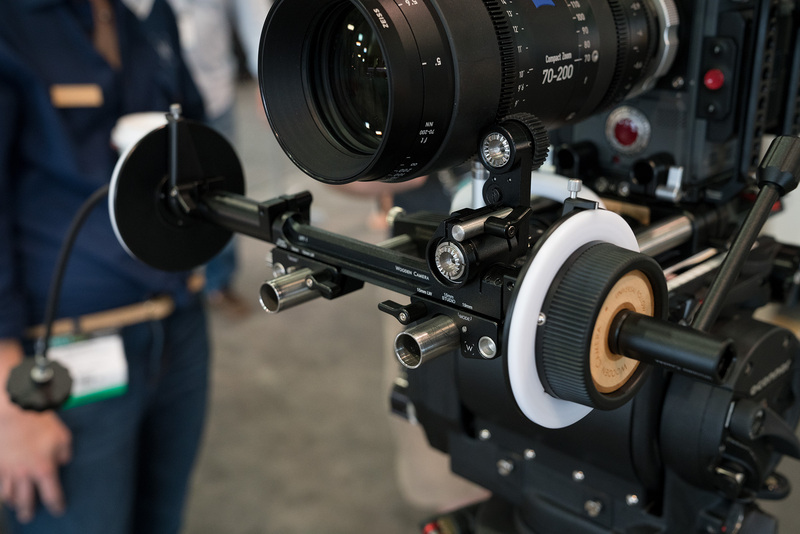 We’ve been looking to pick up a pro-level follow focus for a while, and this one from Wooden Camera looks like it’ll come in at a reasonable price point without sacrificing on features. Having tested it out in their booth, I can say that Wooden has pretty much nailed it. Their experience dealing with precisely machined parts shines through in the smoothness and stability of every piece of this product. $2,000 sounds like a lot of money for a follow focus, sure, but that’s about half of what you’d pay for something like this from Arri or Bright Tangerine. While a tripod head might not be something you’re generally excited about, Manfrotto is doing their part of building some interest in their latest line of this essential tool. 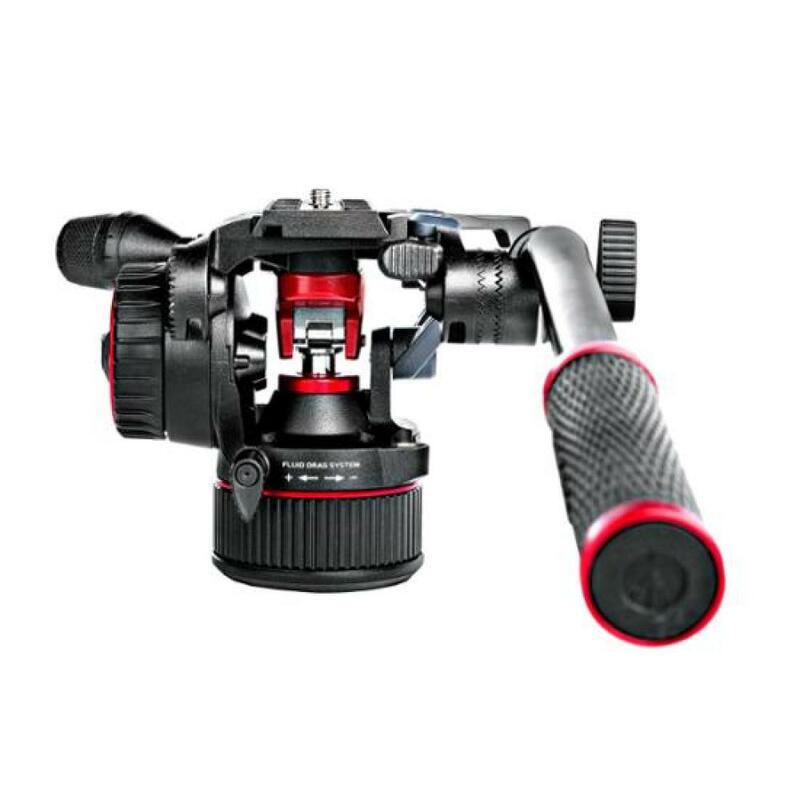 The Manfrotto Nitrotech N8 is a new fluid video tripod head with an unusual feature – a nitrogen piston. While it may seem like overkill, it does provide some interesting new properties. For example, with the use of the new piston, you’re able to get a continuous counterbalance when tilting and panning. Additionally, the Nitrotech N8 also features all that you’d expect from a standard pro-level video tripod head, like a variable drag system, a bubble level, and 17lb payload capabilities. Last week, we wrote a breakdown as to why Digital Recorders can be useful to all videographers, regardless of the camera. This week, Atomos released their newest system, which sports the name Sumo – and for a good reason. At 19”, the Sumo is big, and with some significant features to follow. The HD recorder and monitor system allows for 4K video at 12-bit RAW, 10-bit ProRes/DNxHR and 1080p at 60fps for live recording and switching. Additionally, the Sumo isn’t short of ports, offering up both SDI and HMI connections, allowing you to live record and switch four ISO channels at 1080/60p. SmallHD is releasing a 5” touchscreen monitor that seems designed specifically for mirrorless and DSLR shooters. The included tilt arm mounts directly to a hot shoe and includes clever details like tilting ability and a second cold shoe for mounting accessories like external mics. The most interesting design element, though, is the ability to pass through power from the monitor to the camera using Sony L series batteries. Cameras like the A7S tend to have frustratingly short battery life, so this is a nice touch. It’ll be affordable, too, coming in at $500. Did we miss anything? Any underdogs at NAB that you think deserve more attention? Then feel free to let us know what your favorite announcements are in the comments below! Nice round up! I actually think the Litepanel Astra has better color rendition than the Skypanel. The 28 LED light shootout over at NoFilmSchool this month shows some flaws in the Skypanel in Tungsten. The CP.3’s look nice, but I think optically the Sigma Art-based Cine Primes will be the ones to beat! They might not have the Zeiss name, but they’re going to make a name for themselves I believe. I love the not a science fair line.